Nothing in life is guaranteed, which is why being prepared for the unexpected and the unwelcome is the best policy. Travel insurance is designed to cover medical expenses and other financial losses while on vacation, but some policies might not provide for the most unexpected occurrence of all: trip cancellation. No one likes to think about cancelling their long-planned trip, but life sometimes gets in the way of our best laid plans. 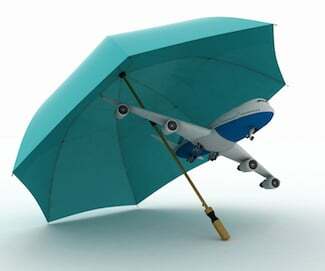 Within the broader umbrella of trip insurance plans, many companies offer a valuable policy known as trip cancellation insurance. Because families often pre-pay their expenses such as hotel reservations, cruise tickets, plane fare, and more, you could find yourself in a financial hole should you need to cancel the vacation. Many travel providers count on fulfilling a certain quota, and are thus reluctant or unable to provide refunds. This is where trip cancellation insurance comes in. In many circumstances, this policy may be able to reimburse you for those tickets or reservations. While trip cancellation insurance is an important aspect of travel insurance, most companies will not cover your cancelled trip for any conceivable reason (unless you purchase a “Cancel for Any Reason” upgrade). If, however, your cause falls under one of the following categories, there is a good chance you could be covered. Illness – No one wants to go on vacation while convalescing. You can’t predict when you’ll get sick, but if you’ve purchased a good policy you may be compensated for your pre-paid and non-refundable travel costs should you need to cancel for an unforeseen illness. Death of an Immediate Family Member – Losing a close family member can be an extremely difficult life event and no one wants to deal with travel hassles during such a time. Many trip cancellation policies offer reimbursement of your pre-paid trip expenses should an immediate family member pass away prior to your departure as long as their death was not imminent at the time of purchasing the policy. Weather – Don’t assume that your hotel is going to refund your money if a hurricane hits the area two weeks before your planned trip. In many cases, they’ll be more resolute than ever about enforcing their no-refunds policy. Trip insurance may be your only chance to recover your funds. Conflicts – Your local court system is not going to give you a pass on jury duty because of your planned vacation. If scheduling conflicts come up and prevent your trip, you may need to depend on extra insurance coverage to make sure you don’t lose your money. This is but a sampling of the circumstances under which a good cancellation policy may be able to help you recover your pre-paid and non-refundable vacation funds. It is unpredictability that makes life worth living, but that unpredictability can bite you financially if you aren’t prepared. With a reasonable, low cost trip insurance policy, you can ensure that your planned vacation doesn’t turn into a mistake you’ll regret. Get free trip cancellation insurance quotes by filling out the form (top right of this page). Buy online through our safe and secure checkout.